"If you're quiet, you're not living. You've got to be noisy and colorful and lively." c/o Ariel Gordon knot ring (HERE); Polish- OPI Red Lights Ahead. Where? 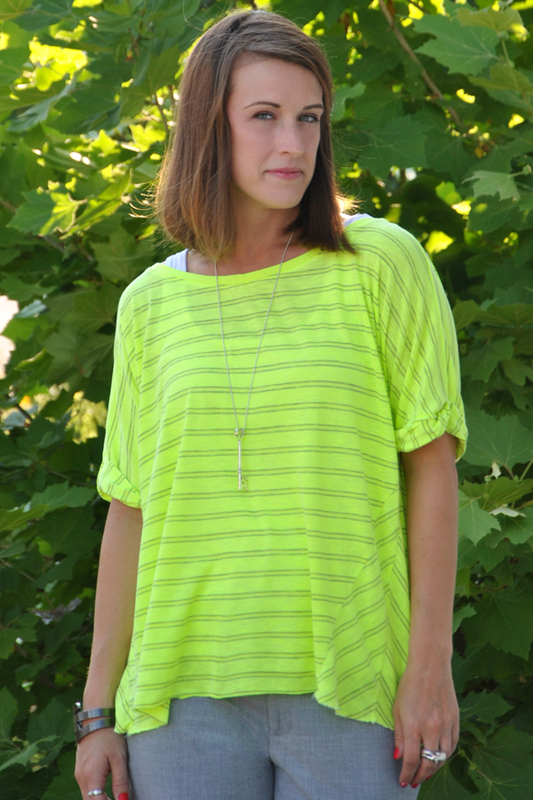 Neon is so huge right now but you might be a little hesitant about wearing it to the office because it's such an in your face color. My solution is to pair my neon piece with a very muted pallet like grays, blacks, and tans. I keep my neon piece as the only colored item in my outfit this way I feel like my outfit isn't too overwhelming. Like these pants?? I got these pants over 10 years ago when I was still in business school. I could not believe they still fit when I came across them the other day. Especially since I've been banned from working out for the past 3 weeks. Let's just say not working out can do a lot to a girls body/ego. But putting these 10 year old pants on sure helped my conscience. Love the quote :) This is a gorgeous colour on you! 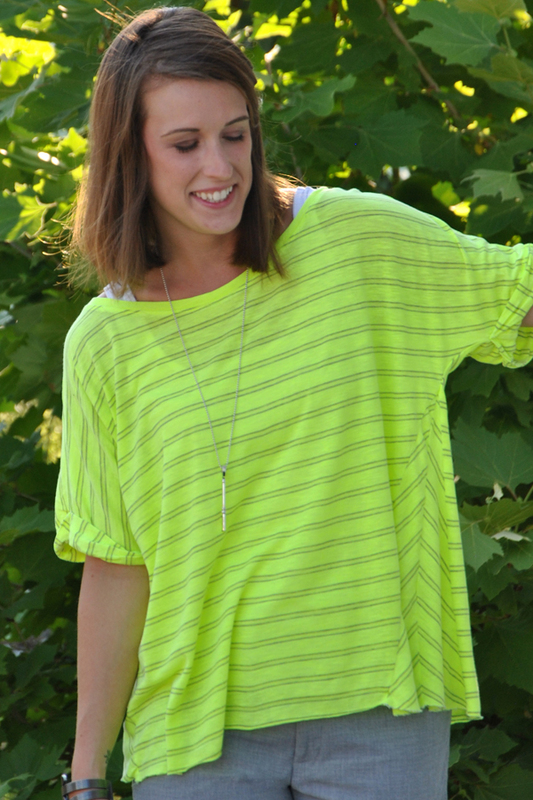 I love that neon top so much! It looks amazing on you and that shape is perfect. I LOVE this office appropriate neon! What a great pop of color! Love your sandals too! Love the neon on you! So perfect w/gray! Hope you had a great weekend! I DO NOT...REPEAT...DO NOT LIKE THESE PANTS!!!!!!! This is just a disgrace to fashion and everything beautiful about it...I can't agree with these pants...I just #CAN'T!